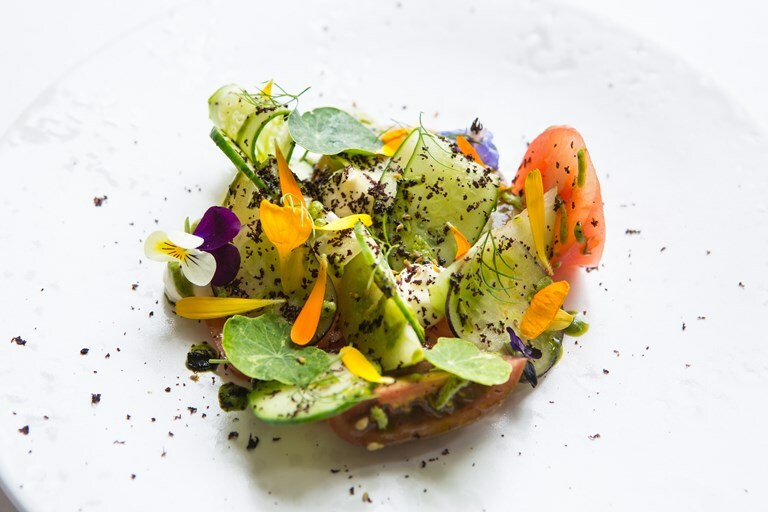 This aesthetically beautiful salad dish by Russell Bateman is a myriad of flavours working together, and is inspired by the colourful vegetables found in the chef's own kitchen garden. Making your own ricotta is a fairly simple process, and the extra effort is bound to impress your guests. To make this glorious salad starter fully vegetarian use a rennet-free alternative to Parmesan in the nasturtium pesto.